This entry was posted on January 26, 2015 by B4S. Many UK businesses and call centres are moving from traditional telephone systems to VoIP systems which allow access to platforms such as Microsoft Lync or other Unified Communications methods, cutting costs and increasing the functionality of the business' entire telecommunications infrastructure. 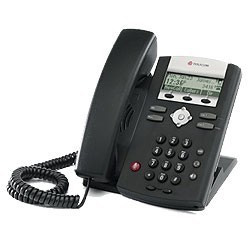 Here we look at the top IP telephones from a range of manufacturers. 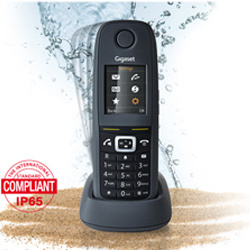 The Gigaset R630H has been designed for heavy use in many environments. The handset is ruggedised meaning that it is dirt and water resistant as well as being shock resistant. It has a rubber, easy to grip surface and the buttons are large and easy to use. It has further been designed for outdoor use by the incorporation of a LED flashlight for convenience. The Gigaset R630H is also able to connect to the IP network via a multicell system meaning that it can be used over a large area of separate cells. It is considered to be a perfect business IP phone for construction areas, workshops and other outdoor environments. 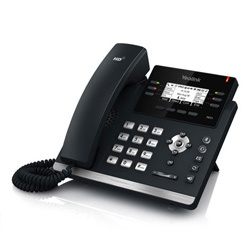 This Yealink IP phone is a fully featured model with a host of features and a compatibility across a range of platforms. It can connect to multiple SIP accounts and boasts HD wideband sound. For ease of use and connectivity the T42GN has dual port Gigabit Ethernet and a large backlit LCD screen. Yealink has also made this model hearing aid compatible, headset ready as well as bundling in a lovely 3 way speakerphone. The Polycom SoundPoint IP 331 is a desktop IP telephone with strong business features as well as the facility to access custom XHTML applications adding to the functionality and integration into your business processes. In keeping with Polycom's legacy it has a high clarity fully duplex speakerphone and is capable of two line connection. It can take its power via the Ethernet port (POE), hence not needing a dedicated power supply nor cable. 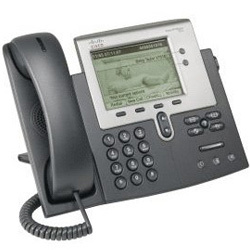 The Cisco 7942G is an office desk phone with a large LCD which can be used to access the system phone's menus as well as embedded customisable XML applications. It supports Cisco CallManager which is an "enterprise-class IP telephony call-processing system that provides traditional telephony features as well as mobility, presence, preference, and conferencing services". The 7942G supports POE as well as having a generic headset port for ease of use and comfort whilst working. The speakerphone allows two way conversation without listing the handset and adds to the simple operation of the phone. 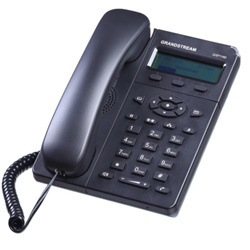 Grandstream GXP1165 is a well priced IP phone which can connect to one SIP account over many differing SIP platforms and protocols. Its integral phone directory stores up to 500 contacts for quick access. It supports POE and EHS and is renowned for its reliability and ease of use. The 1165 has a compact, though very legible LCS matric display and 3 programmable ( via XML ) softkeys. The Grandstream GXP1165 also allows 3 way conferencing and has an LED message waiting indicator - a useful accessibility feature. There are, of course many options that one has to consider when buying an IP phone for your business or small office. So please let us put our experience to task to help you by getting in touch here or call us on 0844 824 6664.